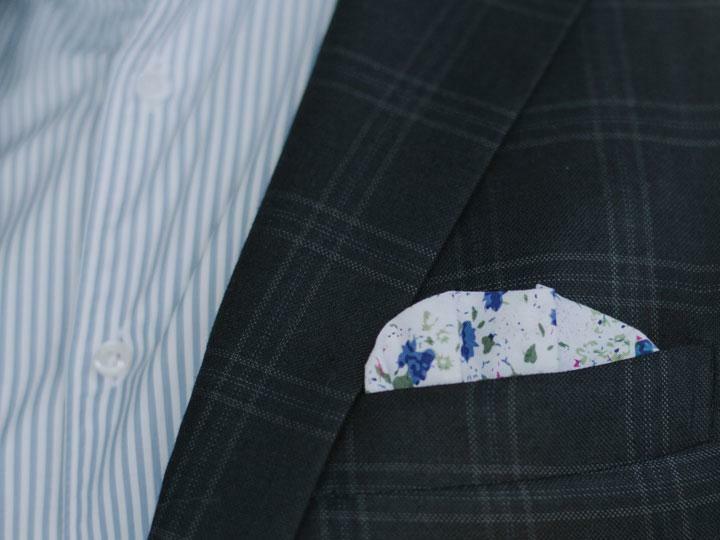 The Smartest Way To Wear a Pocket Square. No more folding. No more shifting or adjusting. A perfectly confident look all day. What is a Suit Square? 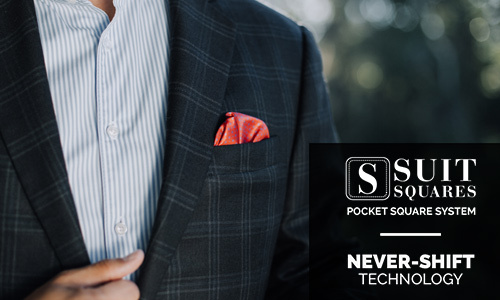 Unlike traditional pocket squares that shift as you shift, Suit Squares never shift or fall into your pocket, giving you a perfectly confident look all day. Hand-Crafted with premium materials, imported Saffiano leather, double stitching, and beautiful high-end fabrics. 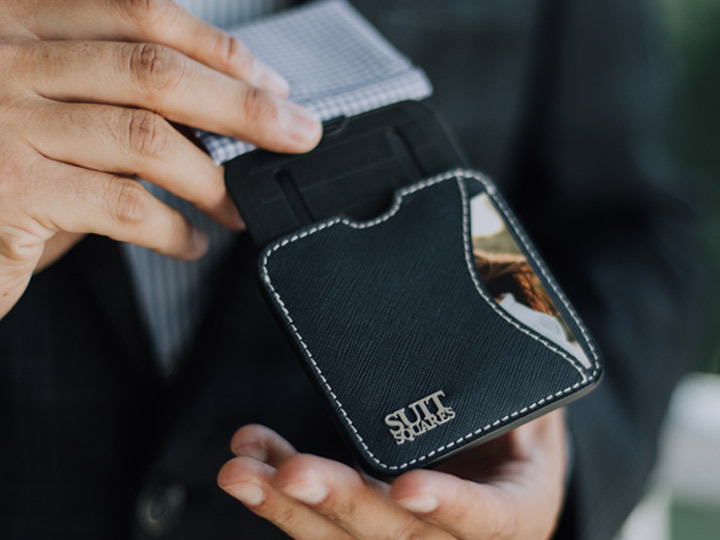 Jog, bike, or do push-ups--Suit Squares will never shift out of place, ensuring you look sharp all day. 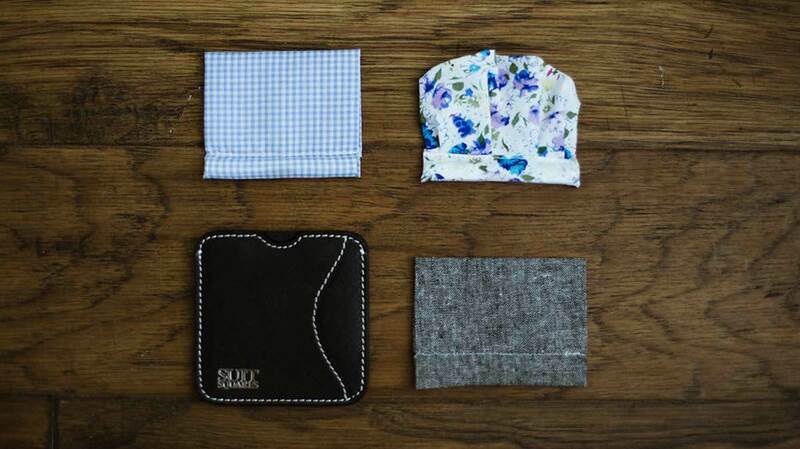 Don't waste any more time folding pocket squares. Quickly select the best square to match your jacket and be out the door in seconds. 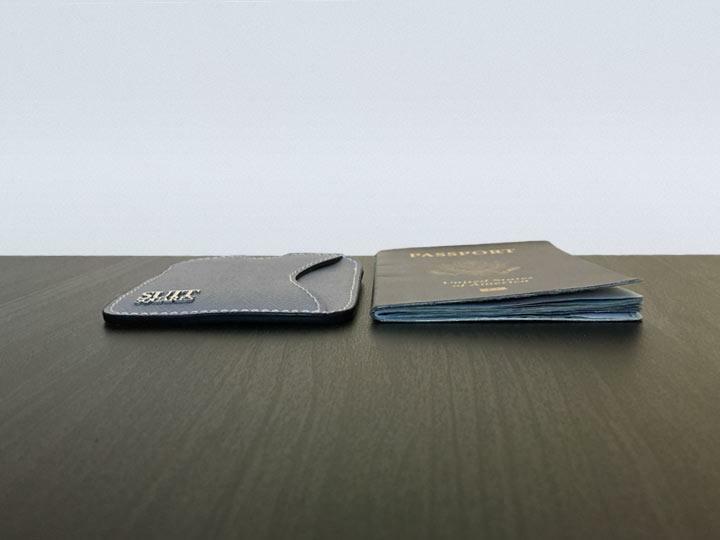 The leather base is as thin as a passport-never showing through your jacket-and also functions as a minimalist wallet. We selected the same high-end leather that Prada uses--a luxurious Saffiano leather that is sourced from Italy--and combined this with hardy contrast stitching. We designed our leather base to dual function as a minimalist wallet, in addition to being a secure base to which the fabric tops attach. Many of our testers wanted to store an extra credit card, goals, pic of the family, etc., so we made a great looking pocket with utility. The leather base was designed to fit any jacket pocket. The height of the base can be adjusted using the telescoping plastic slider. The fabric top securely connects to the base with an integrated magnet. My first time wearing a Suit Square was at a wedding reception in New Orleans. Not only was it easy to wear and looked great, but after a long night of dancing and celebrating, it was still perfectly in place. It was the first time I didn’t have to worry about continually adjusting and fixing a pocket square. The days of wearing ties are gone in my line of work. 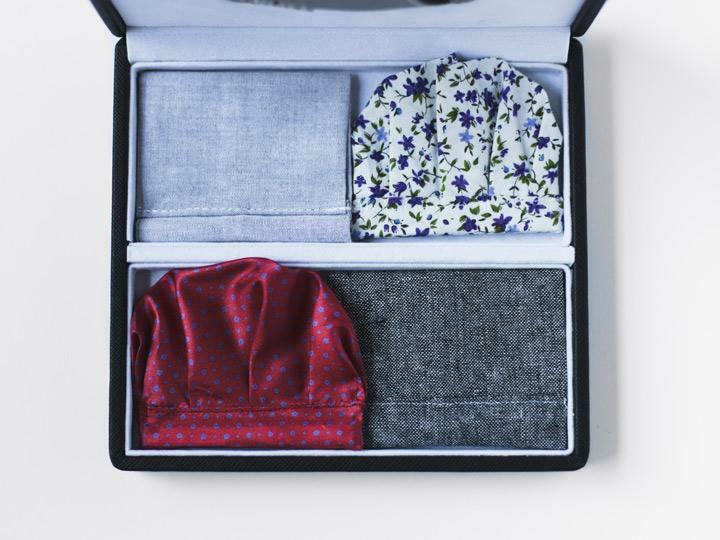 Being able to add Suit Squares into my daily wardrobe has elevated my fashion game- and made packing easy. The simplicity of the product makes it easy to switch out looks and color with little effort. I am a traveling salesman working in the world of healthcare. I have worn pocket squares for years. A colleague of mine had me try out SuitSquares and I was instantly hooked. No more folding! Better than that no more adjusting the square before each of my meetings. Week 1 of traveling with my SuitSquares and I was skeptical at first. They are the easiest part of my day as I get ready for my meetings with investors. I love the end result and my consistent look all day. I highly recommend to any traveling business person.